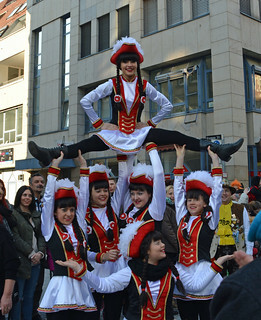 Have you always wondered why Burda magazine has costumes in the January issue? 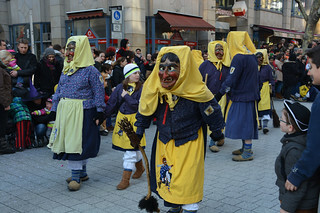 They're for Fasching, the festival time prior to Lent. 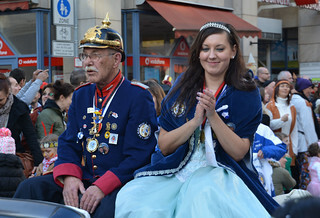 Here in Stuttgart the festivities began last Thursday, with Weiberfastnacht, a day when women symbolically take over city hall and snip off men's ties in the workplace (supposedly). 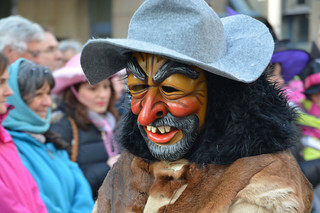 Throughout the weekend people dress up and party - I saw a few people dressed up and there were some rides and candy and food booths set up on the main pedestrian thoroughfare in Stuttgart. 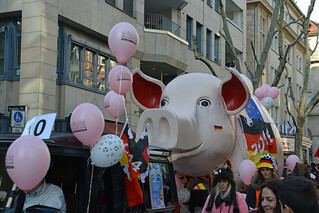 Monday is called Rosenmontag in Germany, or Rose Monday, a day for carnivals and parades and dressing up. 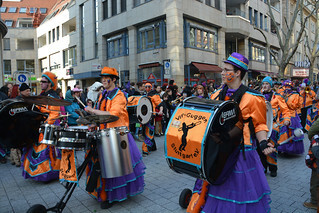 Everything then culminates with Fastnachtdienstag or Fastnacht on Tuesday. 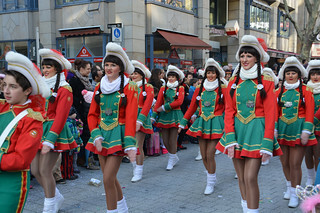 Today there was a big parade through the downtown so I went to check it out. There were lots of people and many, many children lining the streets. School is out, so today is a day to dress up and catch the hard candy tossed to the crowd by the parade goers. New Orleans has beads - here it's candy. 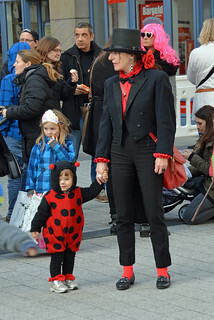 Kids and adults dress up. The stores have had costumes stocked since mid January. 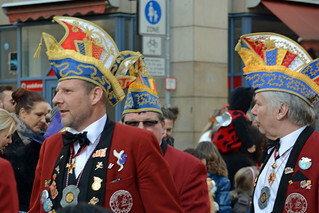 But NO dirndls or lederhosen - those are not costumes and they're not for Fasching! Loud in both costume and sound! Witches!! 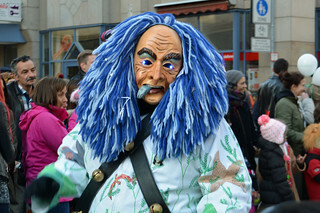 A big part (and the most fun) of these Fastnacht parades are the witches. 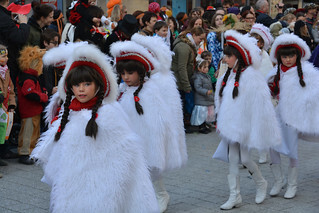 They signify the end of winter and chasing away evil. 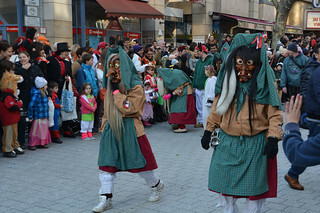 In some parades they carry off bystanders or play tricks on them. 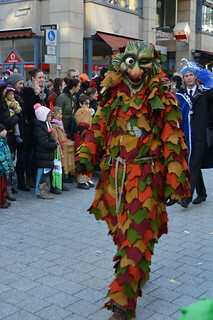 Here in the Stuttgart parade I saw a few act a bit bawdy and one ran up and marked the hand of a little boy with green marker or paint, but mostly they handed out candy and greeted the children. Not too scary. 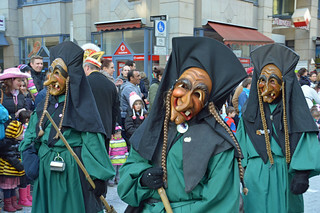 These are Tuttlinger Stadthexen witches. Apparently the town of Tuttlingen had quite a lot of witch trials back in the day. An Eskimo witch? That's a fish in his mouth, not a cigar. 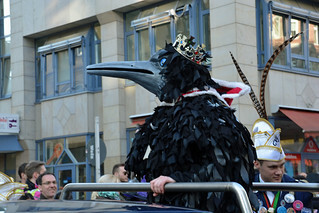 I hope you enjoyed the parade! I'll get back to sewing and knitting stuff with a post tomorrow (hopefully) I have one finished sewing project and some in-work knitting projects to share.